Nearly two years ago, I made a vision board. I scoured magazines for the perfect images and words that represented the life I wanted to have. I most desired a career where I could work from home. I've wanted to work from home for as long as I can remember, knowing my focused work style would be a great fit for a home office. I found an image of someone working from home while wearing bunny slippers, and I wanted that to be me. I included fitness on the board because I love challenging exercise, but I won't push myself as hard as a trainer or good class might. Exercise helps me stay sane and lowers my stress, so it had to be included in the images of the life I desired. There was an image of a back porch that I liked, not so much for the design style, but for the idea that my back porch could be revamped to be more comfortable for people and pets. I love to have friends over to enjoy the fire pit and food, but I craved a more open space than my existing porch offered. I pasted a few more words and images on the bright green poster board until I felt satisfied that this was a complete picture of what I wanted to manifest in my life. I made some journal entries to support what was on the vision board, writing as if all these things were true and present in my life. I thanked the Universe. I hung the board on the wall close to my bed so I would see the vision board before I went to sleep and upon waking...and there it hung. The vision board stayed on my wall for close to two years, and nothing happened! Zero. Zilch. I didn't manifest anything I'd painstakingly pasted on my board: epic manifestation failure. I pulled the vision board out a few days ago, and I realized that not only had I manifested the work from home position, I had manifested two monitors, just like in the picture I had cut out and pasted onto my board. I had also received bunny slippers as a gift from a friend in honor of my new job. I believe my big blunder was hanging the vision board where I could see it. By putting it in my line of sight every day, it was only natural to start to wonder when and how all these things were going to happen. With each month that passed with no obvious forward movement toward my dreams, it was also natural to feel a little frustrated with the process. As soon as I took the board down, I made room in my thoughts to allow the Universe to do its thing! By keeping the board front and center, I was not able to fully allow the flow to happen; I was getting in my own way each and every day. 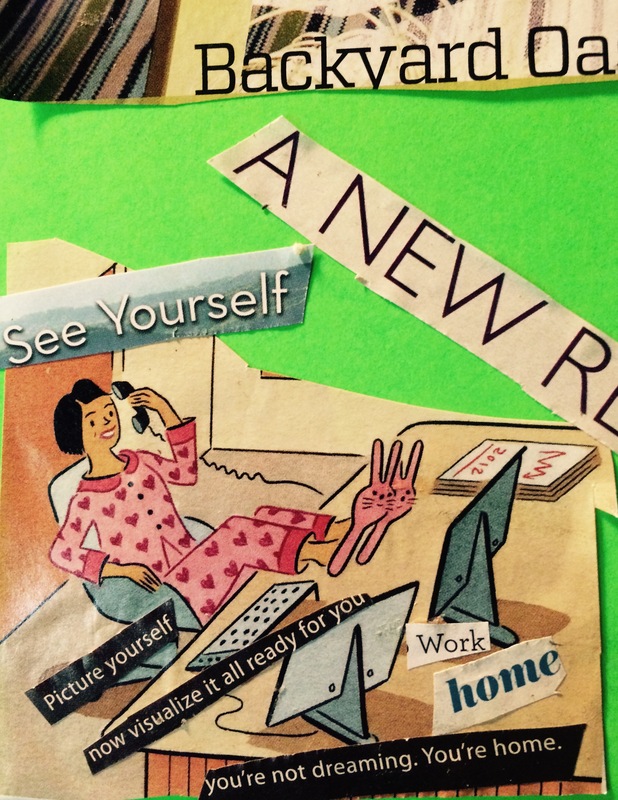 Is your vision board collecting dust right in front of you? Dust it off, give thanks, put the board in storage, and see what happens! I'd love to hear from you on how this works; tweet out your results to me @KatieMotivates on Twitter!